Thursday had all the ingredients for the ultimate Ingenium Day. 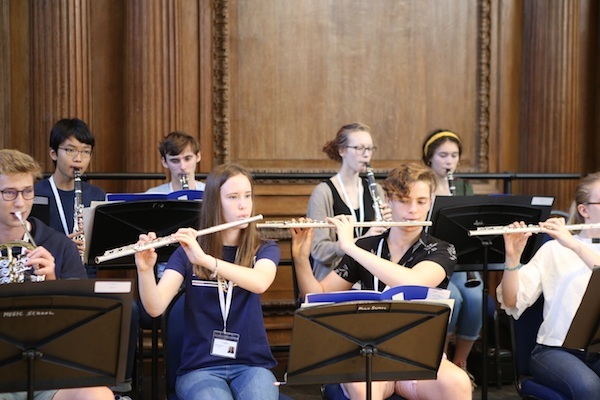 We had a full, diverse day of music making, with everything from big band jazz and vocal improvisation to Alexander Technique, piano masterclasses and more! 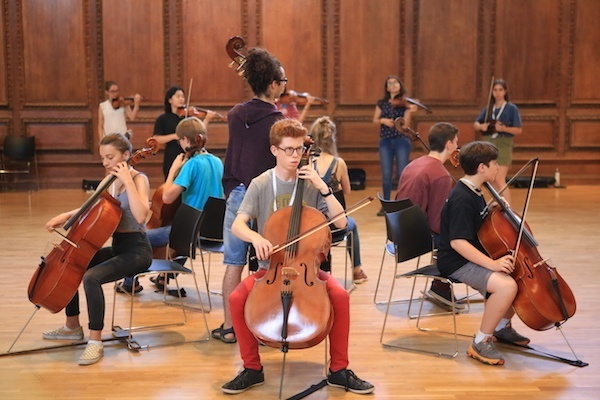 Our morning was filled with with rehearsals and individual lessons, and it was so exciting to walk around the Winchester campus and hear quality music floating out of every room! The orchestra was split into sectionals for the morning, with the woodwind and brass led by Tom Hammond as they focused playing together as an ensemble with some chordal exercises. 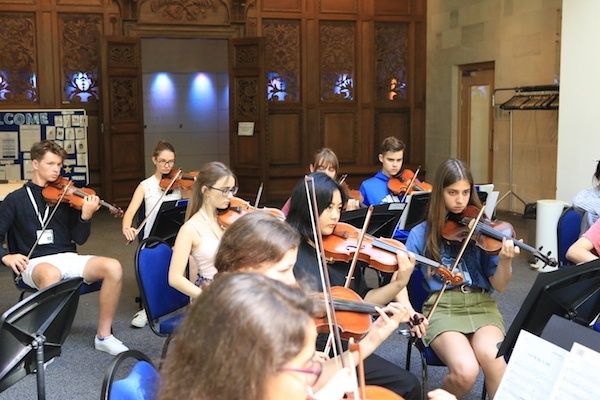 Meanwhile the strings had a session with Adam Saunders, rehearsing his arrangement that they will be performing with the choir on Saturday. 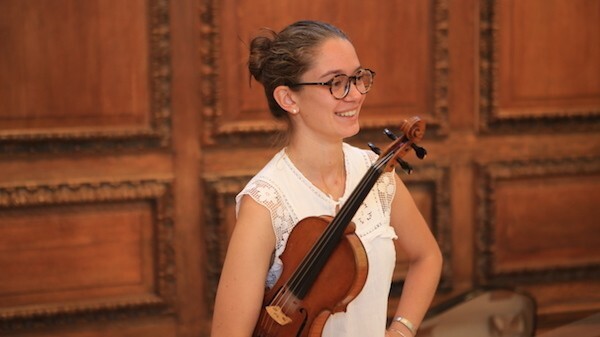 Our violins, bassoons and clarinets also had their individual lessons with Miranda Allen, Mark Pollard and Helen Paskins. 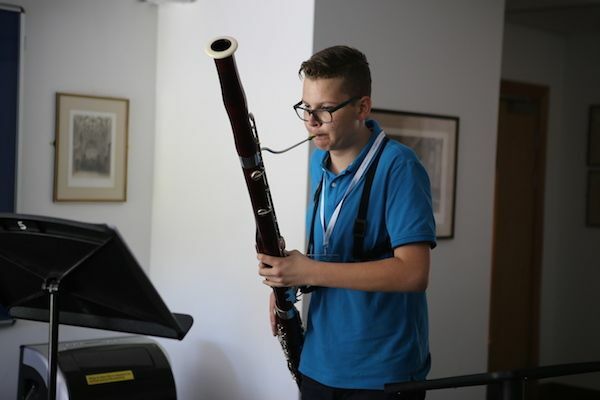 Our saxophones spent time working on their ensemble pieces, and each had their individual lessons with Dom working on technique, repertoire and intonation, and creating a bigger sound. 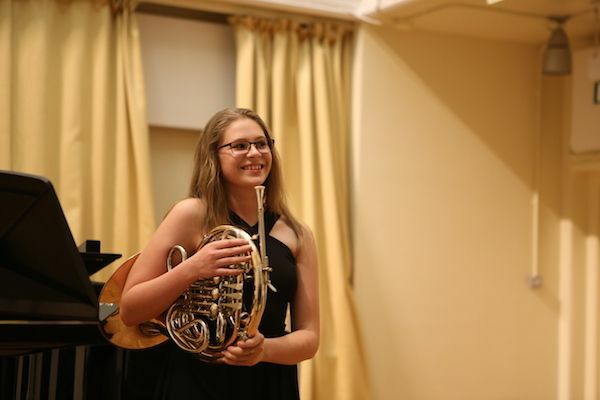 They also worked on performance skills and stagecraft, often overlooked as part of concert preparation – how to present themselves on stage, and communicate confidently with the audience, both verbally and through their music. 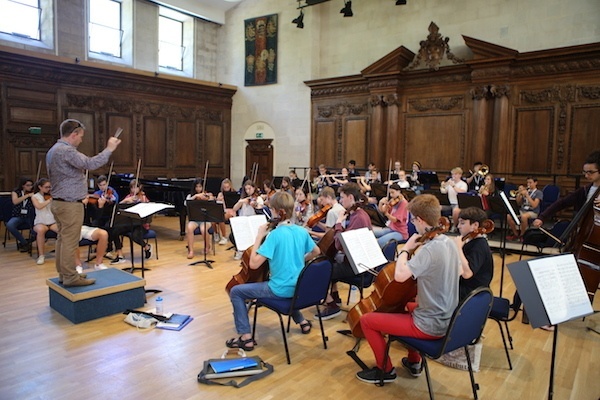 Our choir moved their rehearsals into St Michael’s, Winchester College’s medieval church, to experience a new acoustic closer to the one they will be performing in on Saturday. 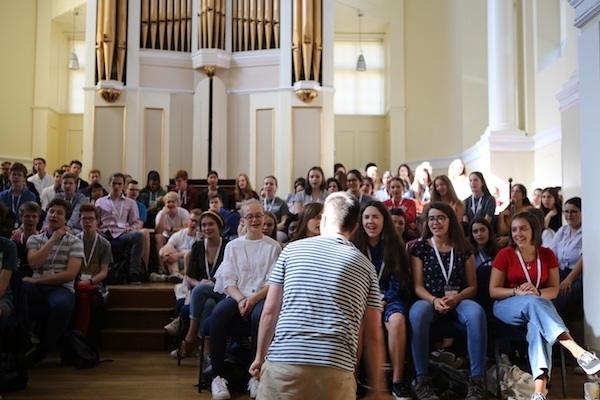 They also had the opportunity to rehearse with the organ in preparation for their performance of The Lord Bless You And Keep You by John Rutter. 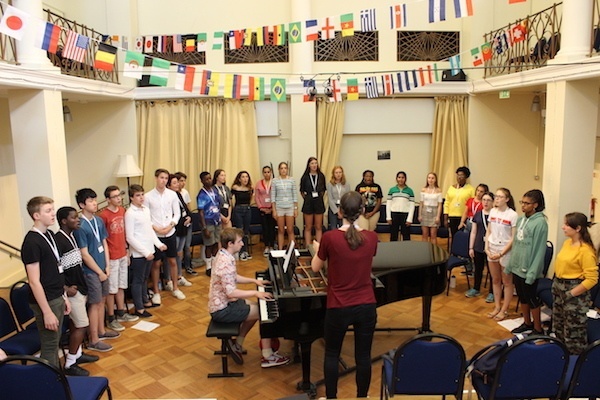 With just one day to go before the concert, they also selected their favourite pieces out of all the repertoire they have been singing this week, to form their concert programme. 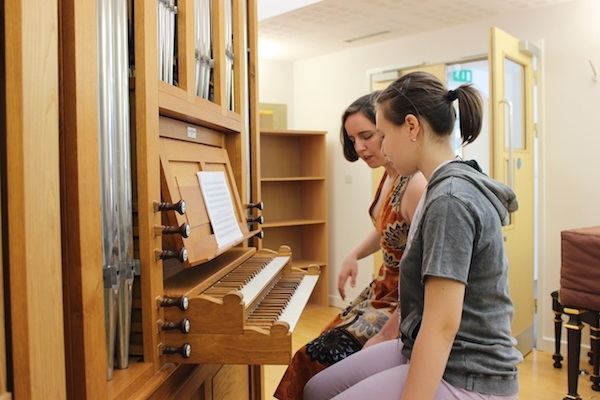 The pianists spent the morning in private lessons and sight-reading sessions, and also had the opportunity to have individual organ lessons with professional organist Clíodna Shanahan (Royal Opera House). 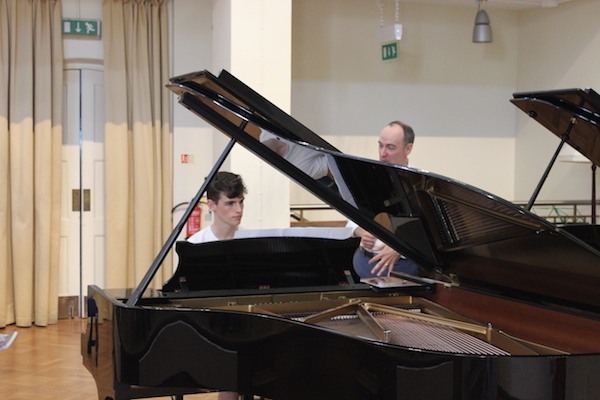 Then in the afternoon, we were joined by Leon McCawley for an incredible piano masterclass. 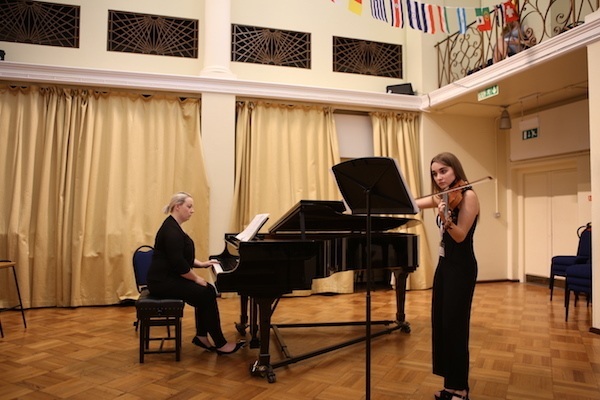 Leon is one of the UK's foremost pianists and a professor at the Royal College of Music, and we were so privileged to have the opportunity to perform and get feedback from him. 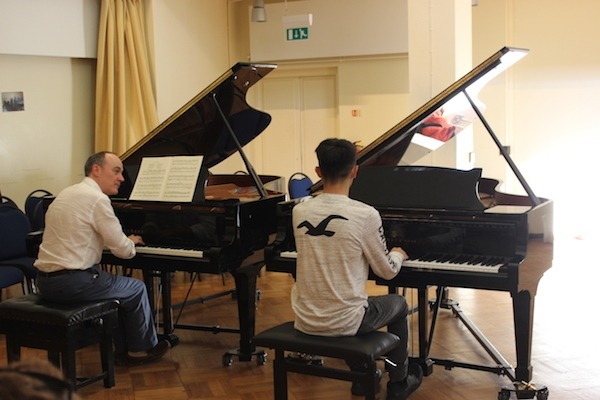 Our young pianists were very keen to learn and open to being pushed out of their comfort zone, and through listening to his feedback and learning from his experience they found new heights in musical expression, approaching familiar music in new ways. 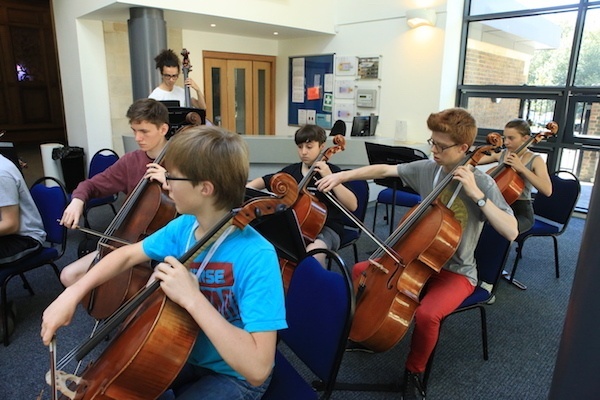 During our musicianship session, our string players spent some time learning the parts for Adam’s arrangements, before enjoying an interesting and useful session on Alexander Technique with Joe Sanders. Meanwhile the winds, brass and saxophones had an exhilarating Big Band session led by Adam Saunders, where in just 45 minutes they learned both Louis Prima’s King of the Swingers and Nina Simone’s I Wish I Knew How It Would Feel To Be Free. 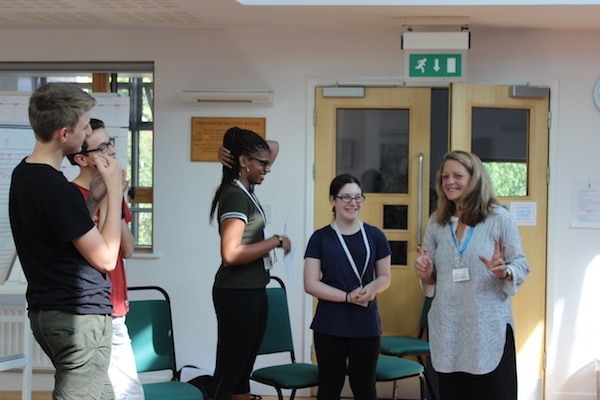 Not only that, our singers were joined by the amazing Sophie Grimmer (Trinity Laban, RADA, National Youth Choir, English National Opera) for a vocal improvisation workshop. A busy and fantastically musical afternoon. 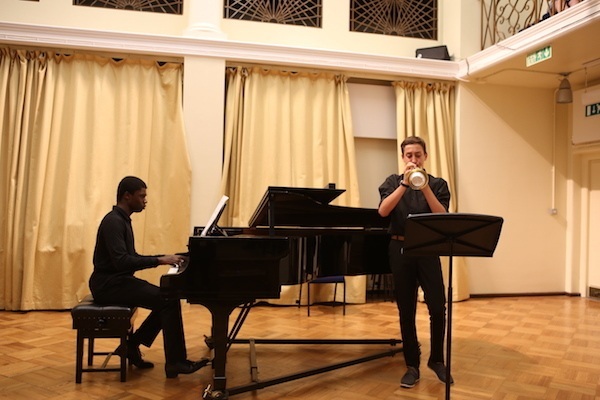 In the evening it was time for a highlight of the Ingenium week: our performance platform. 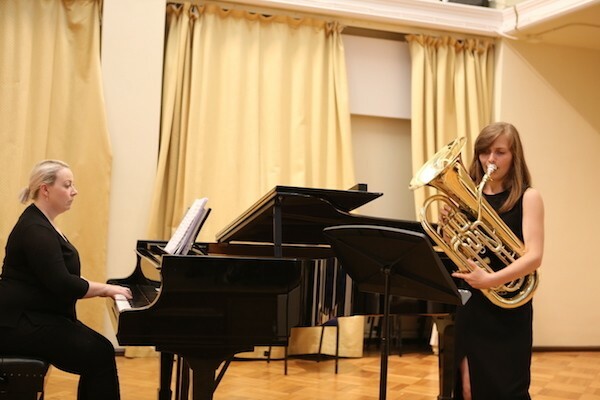 We enjoyed a very varied evening of high quality music, including everything from Mozart’s third Horn Concerto to some Whitney Houston, and an impressive interpretation from two of our students of the Prelude et Scherzo by Henri Büsser. The students really threw themselves into their performance and were a wonderfully supportive audience for their friends. A fantastic evening! 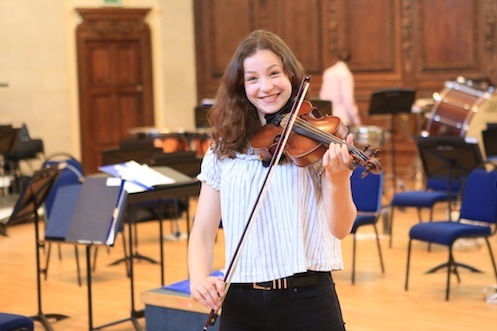 Tamir: for being super prepared with sorting out all their transpositions, for working as team and playing with a lovely sound and confidence. 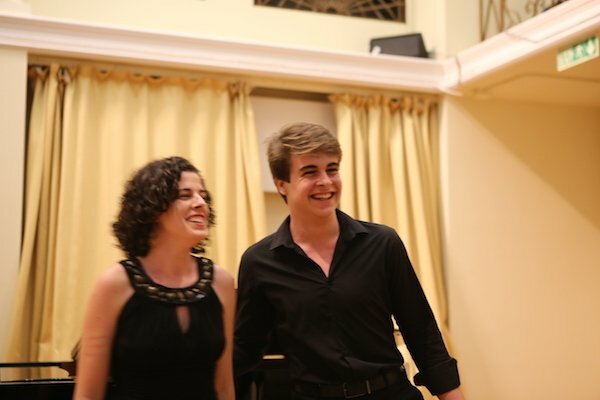 Jacqueline: for allowing herself to be vulnerable and then using her emotions to improve her piano playing and making a fenomenal breakthrough. 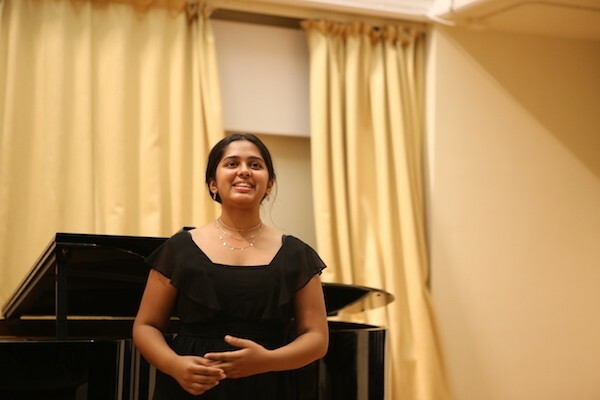 Siji: for singing really confidently which helped keep the section together. For his amazing dedication and always practicing during breaktime and for an amazing solo. 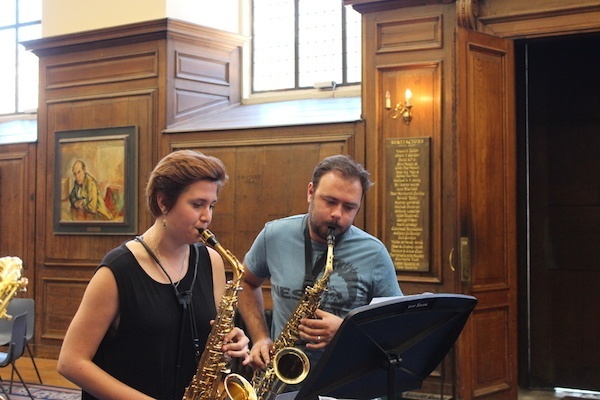 Hannah: for being all over her quartet parts, for excellent counting, pulse and rhythm and great soprano sax playing. Visit our Facebook page to see more photos.